The A2 Milk Company and Synlait Milk have entered into a new five-year arrangement for the supply of a2 Platinum infant formula. 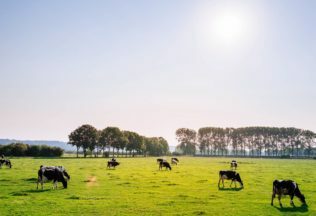 Synlait has been supplying the infant formula for the A2 Milk Company since 2010, but, the new arrangement is expected to help establish future growth plans. Under the new arrangement, production levels will not change but provisions have been created to allow for increased scale if demand for the formula increases. Managing Director and Chief Executive Officer of the A2 Milk Company, Geoffrey Babidge, said the A2 Milk Company was pleased to have concluded negotiations with Synlait. “We’ve maintained appropriate flexibility to assess new product and market opportunities as they arise,” said Babidge. Synlait Managing Director and Chief Executive Officer, John Penno, said his company commenced working with the A2 Milk Company more than five years ago to help create the first infant formula only containing the A2 milk protein. “Our businesses have grown significantly since then and this agreement deepens an already strong relationship,” Penno said. Synlait Milk is based in the Canterbury region of New Zealand. The company manufactures a variety of ingredient and nutritional milk powders. Its facilities processes more than 500 million litres of milk annually.